Think about planning a vow renewal? Here are a few things to know before celebrating your marriage by exchanging vows a second time! If you’re considering planning a vow renewal to reaffirm your love and commitment to your spouse, congrats! 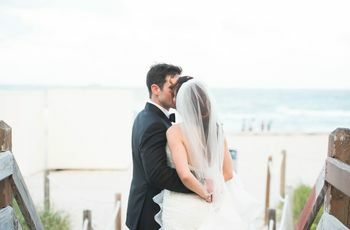 It’s a wonderful and romantic thing for an already-married couple to do, whether it’s been just a few years since your big day or several decades. “A vow renewal reconfirms the special vows a couple exchanged on their wedding day, solidifies their commitment to stay true to each other and may also serve as a reminder to the couple that the love they share still means the same, if not more, than it did on their wedding day,” says Karla Firestone of Marry Me Karla in Boston, Massachusetts. There are several reasons why a couple might consider planning a vow renewal for many reasons. One of the main reasons, according to Firestone, is a desire to celebrate the years they’ve spent together, the life they’ve built, and the family they’ve created. “Often a couple wants to acknowledge all the good and bad they’ve been through and celebrate the fact that they’re still together, saying to the world ‘we still love you and value this relationship and would do it all over again,’” she says. 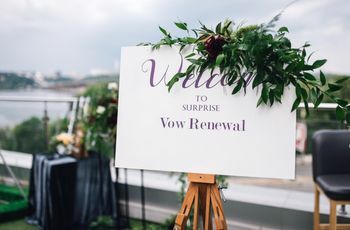 Another reason couples tend to opt for a vow renewal is for it to serve as a reconfirmation of each other’s love, perhaps after a difficult struggle, hardship or rough patch in their lives. “In this case, a couple is looking to acknowledge that, through it all, their marriage still remains important and strong,” adds Firestone. Planning a vow renewal for you and your spouse? 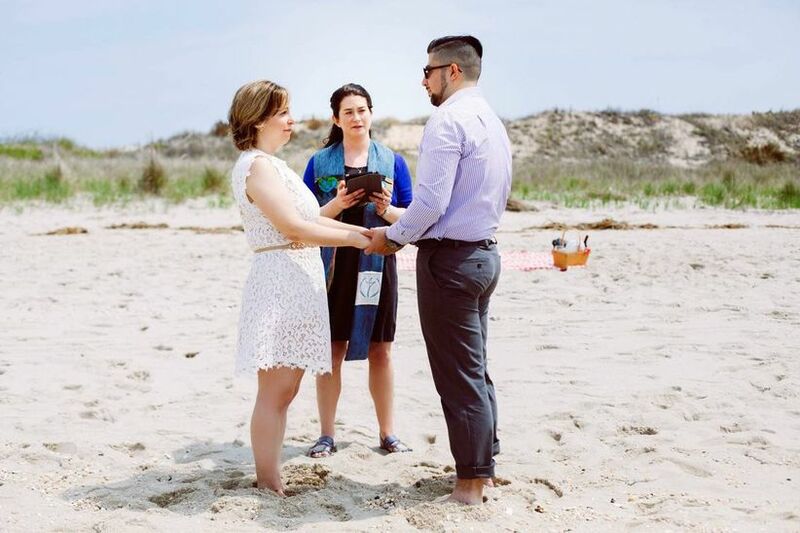 Here are a few things to keep in mind, according to officiants. A vow renewal is not a legal ceremony. There is no set amount of time you have to be married for. 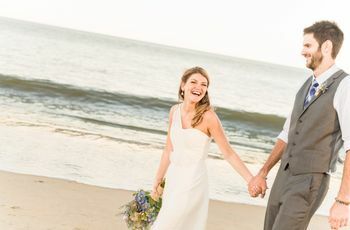 Some couples are ready to have a vow renewal after five years of marriage, while others don’t consider doing it until 50. A couple should renew their vows whenever they feel makes most sense to them. Firestone suggests picking a point in time that makes the ceremony the most meaningful (i.e. when your children can be present, when you feel most proud of what you’ve accomplished together, when you feel your commitment to each other deserves extra celebration, etc). “A vow renewal can be done any time as long as the timing and/or date holds meaning to the couple,” she adds. Your invite list can be as big or small as you wish. Like you did on your wedding day, Firestone recommends selecting an officiant you trust to conduct your vow renewal ceremony. “This is a very meaningful ceremony and you want the person conducting it to value your marriage and express it through the ceremony in a meaningful and purposeful way that reflects you both,” she says. 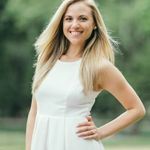 When planning a vow renewal, she recommends meeting with a few different people until you find the perfect fit, especially one who will take the time to learn about you both and understand you as individuals and a couple. “It will make the ceremony that much more special!” she says.